Airlines compete not only in the number of aircraft, the number of passengers and the length of the routes. 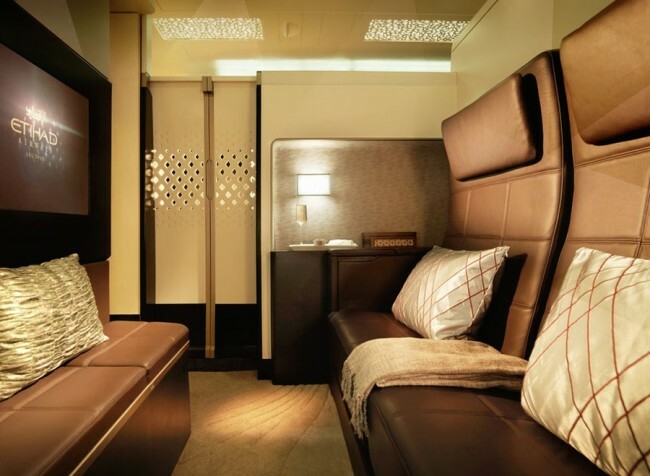 The appearance in the sky of Arab carriers inevitably led to a further aspect aviakonkurentsii – a level of luxury. 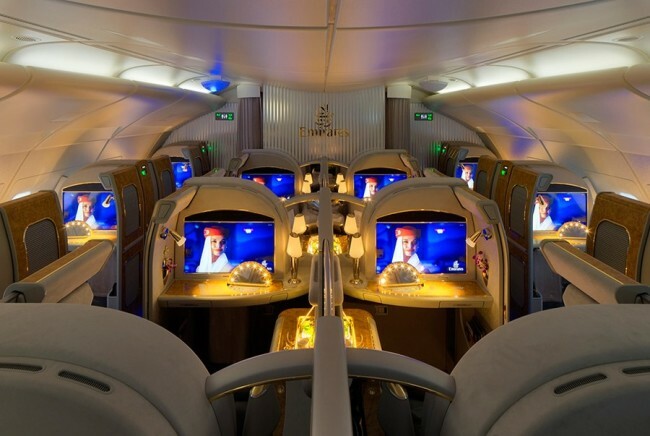 And of course, the tone is set on regular flights Eastern sheiks. 1. Another round luxury race start Etihad company from the UAE. 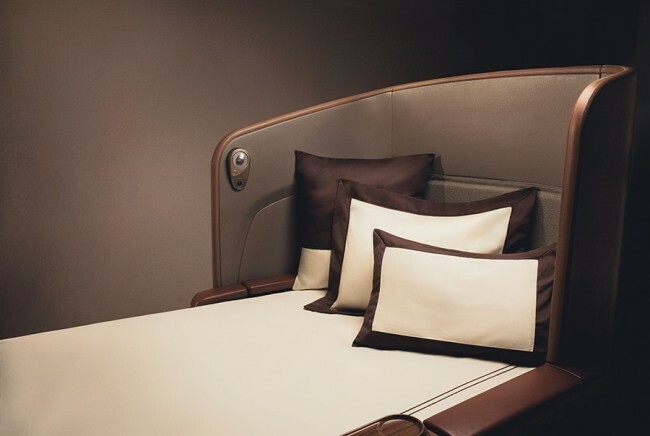 Holders especially thick wallets, which are no longer satisfied service in first class, is now available super-premium option – residence. It’s almost a full double two-room – living room and bedroom. In the last – a real double bed. 2. 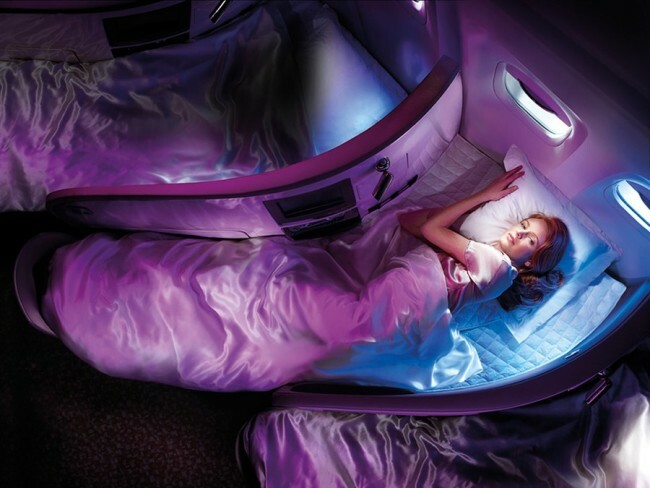 However, to sleep on the ground and get out from under the blanket already at the point of destination, even in the super-passenger will not work – the rules require security during takeoff and landing remain seated and wear seat belts. For the same reason, exiting into a common seating corridor wall does not reach the ceiling. In the bedroom with privacy all right – partitions deaf, the door is locked from the inside. 3. 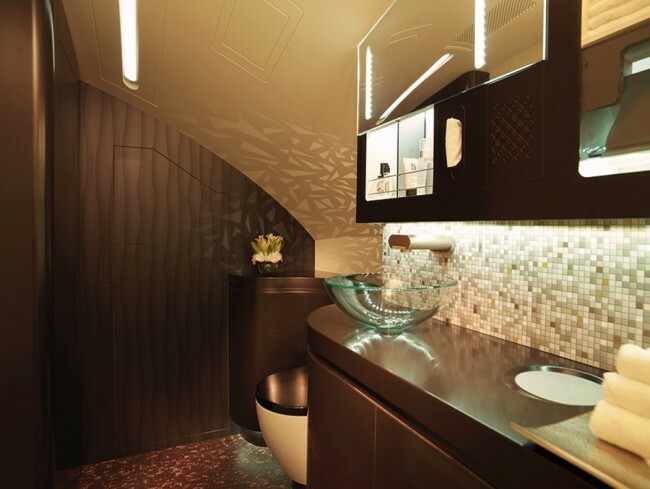 Once the passengers two-room suites feature a private bathroom with shower and private … Butler (ie butler). And all because a man to pay for the flight cabin dweller annual earnings economy should not wait until normal flight attendants served by other passengers. 4. 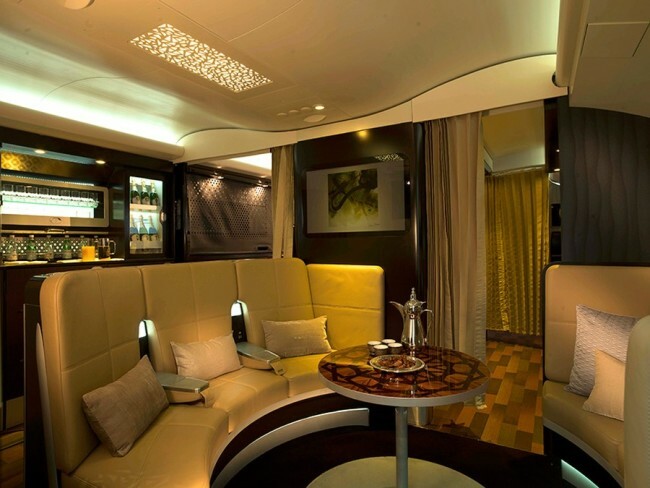 The inhabitants of “simple” first class also does not hurt – everyone has their own single compartment. The central aisle is more like a train, rather than a plane. 5. 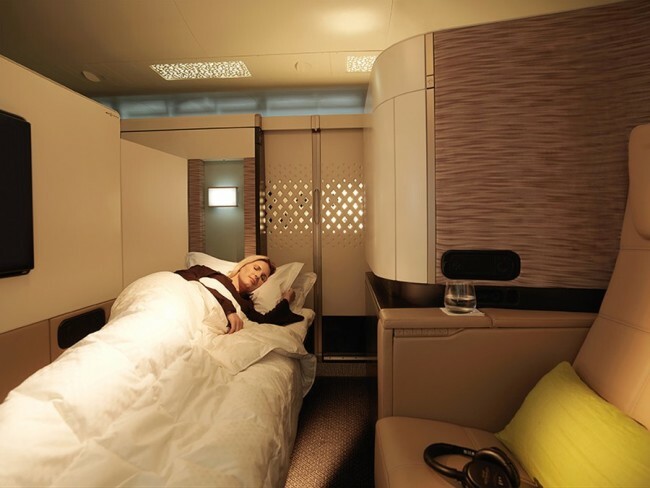 The trick of this arrangement is that the bed is not decomposed chair and sofa on the opposite wall of the compartment. The result is a complete two-meter bed. 6. And for those who, even in such circumstances, can not sleep, a bar and a mess. 7. 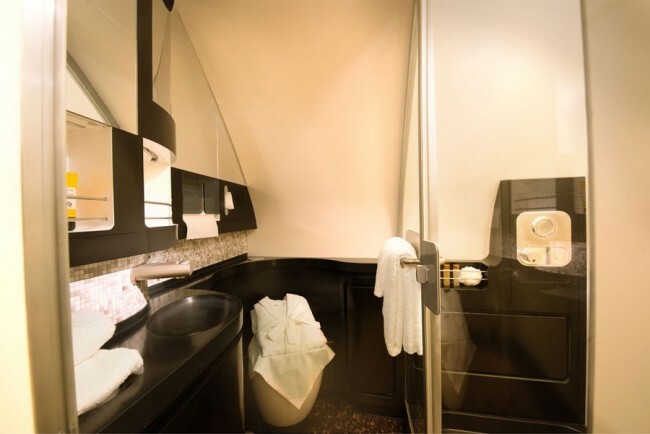 The bathroom is not an individual, but also with a shower. Water on board is not too much, so the showers used four-minute cycles. 8. 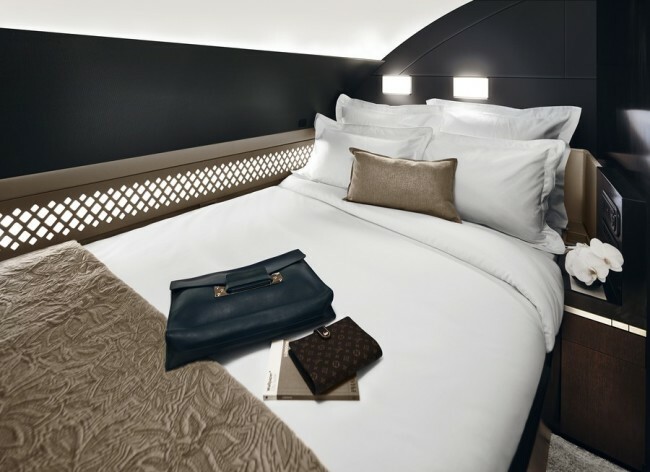 The main competitor Etihad – Dubai-based Emirates – is considered almost a standard premium voyage among air carriers, but so far boasts first-class cabin only traditional layout. 9. 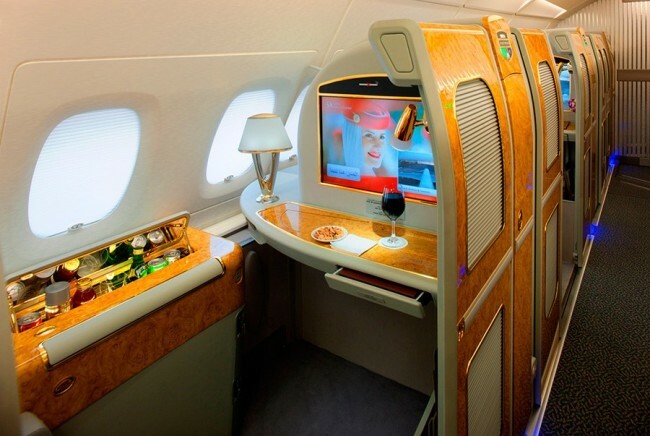 Emirates emphasis on service and maintenance. Own mini-bar and window blinds with actuator – a trifle, but nice. 10. Nevertheless, in the near future should not expect something such and from Dubai company. 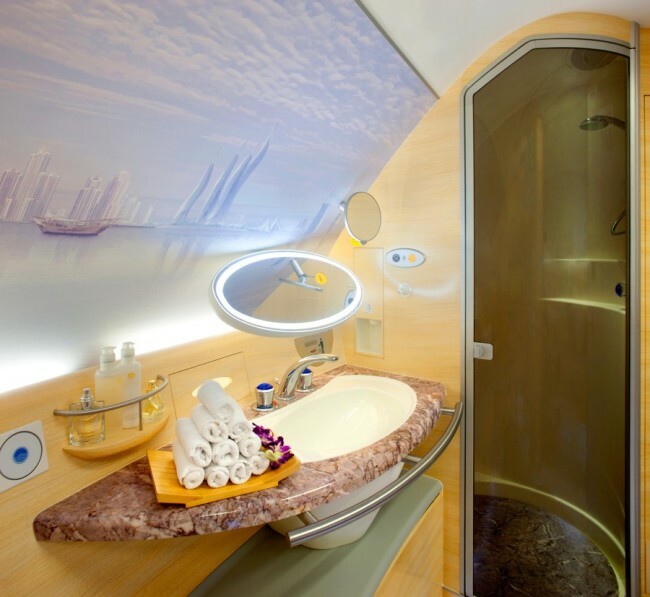 In terms of traffic among Arab Emirates leading carriers do not want to lag behind in terms of luxury. 12. The chairs are designed in cooperation with BMW and expanded in bed measuring 90 × 210 cm. 13. 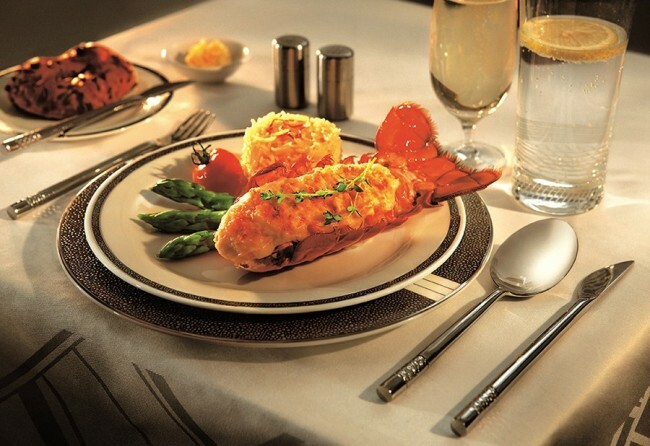 Food for passengers premium classes – for airlines is a separate occasion to compete.Menu develop famous chefs, and the day before departure, you can make special order – there is virtually unlimited imagination. 14. 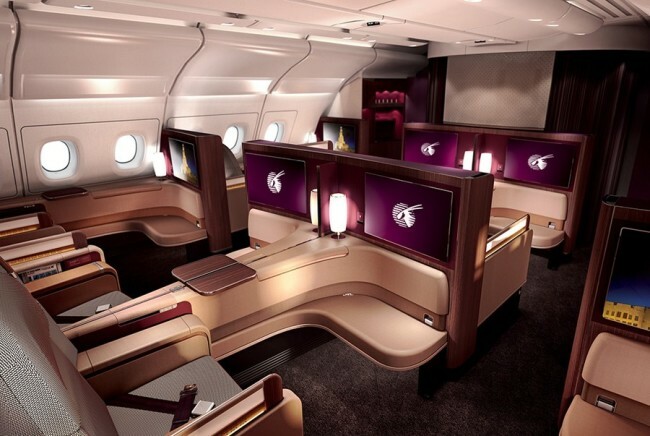 Unlike its competitors from the United Arab Emirates, Qatar state airline did not bank on traditional Arab values ​​and modern design and technology. 15. 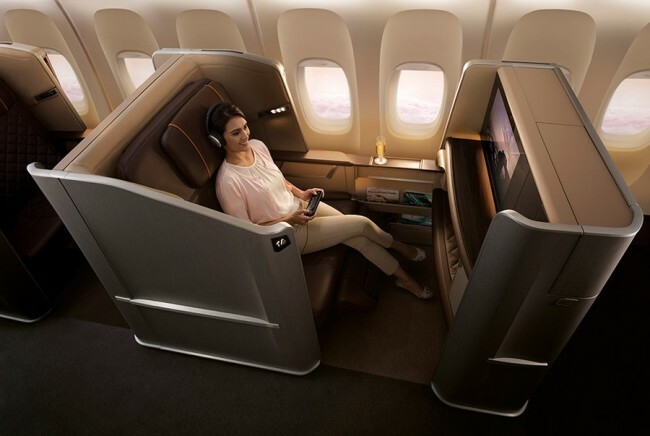 Thus, the main today cause for boasting Qataris – they first got into commercial operation the most modern long-haul Airbus A350. 16. 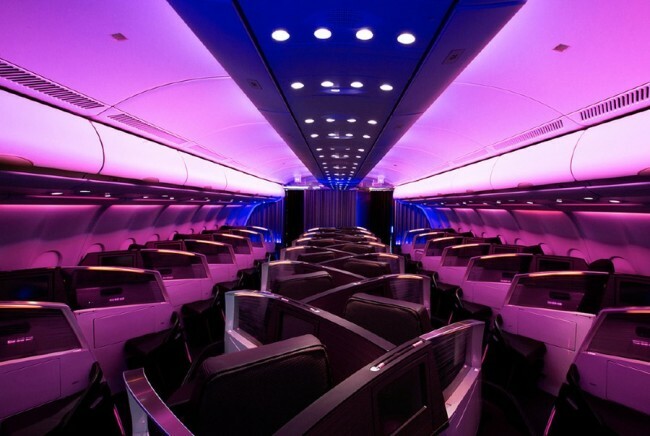 However, it is on the new Boeing 787, the first class there – only business and economy. 17. 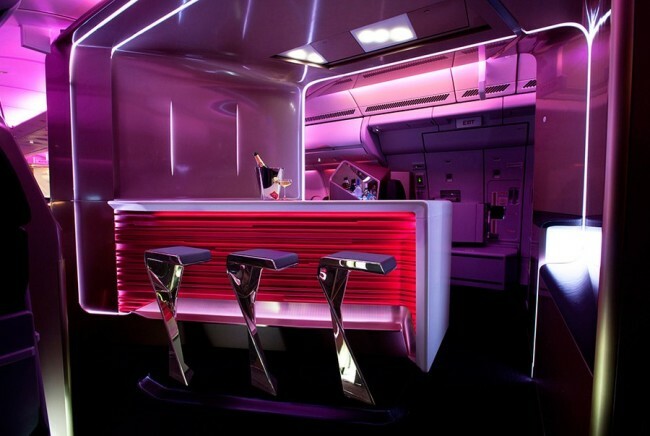 The eccentric style of the principal owner of the British Virgin Atlantic, billionaire Richard Branson, is felt in everything – from the unusual diagonal arrangement of chairs to the famous pink lighting in the cabin. 18. 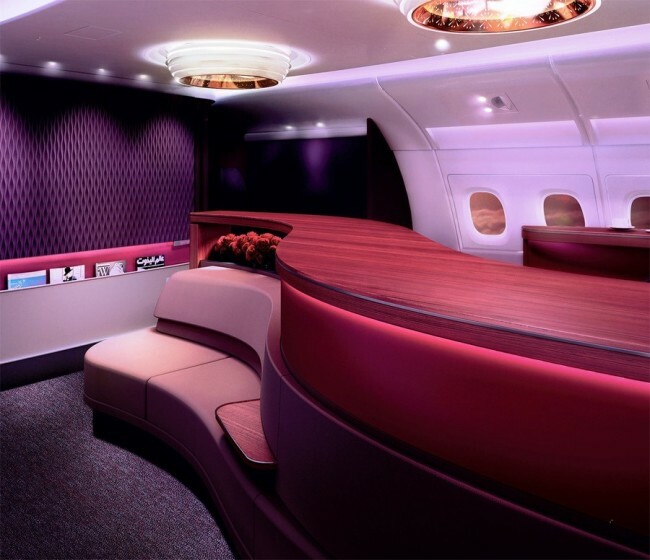 By the way, full bars, too, appeared for the first time on the Boeing 747 of the airline. 19. The chairs are arranged in a horizontal bed of up to 208 inches, but slightly curved and tapered legs. 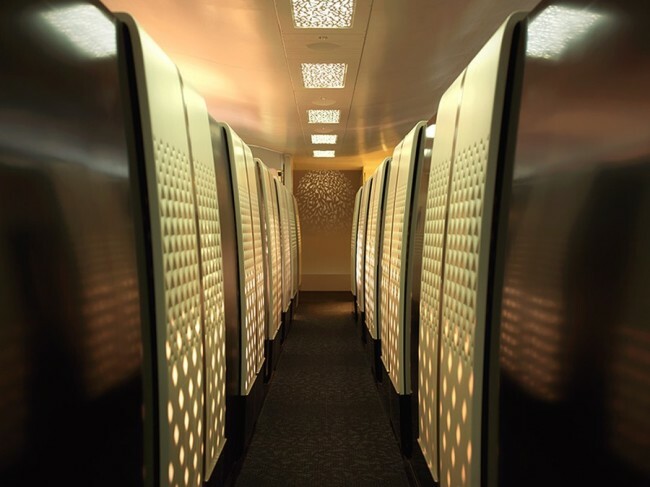 Perhaps it is for this reason that the original layout of the cabin did not take from other carriers.